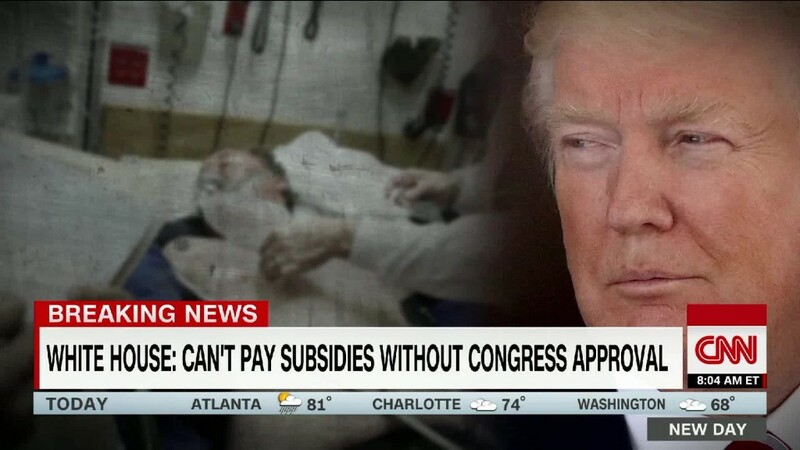 President Trump is continuing his push to try and put an end to Obamacare -- with or without Congress. But the big five health insurers have been doing just fine since the Affordable Care Act, also known as Obamacare, took effect more than seven years ago. So have three other smaller insurers. Here's a look at the stock performance since President Obama signed the Affordable Care Act into law on March 23, 2010. All eight have outperformed the broader market. The S&P 500 is up about 220% since the law went into effect. The gains come despite the fact that it has been a tumultuous seven years for the industry. And that's putting it mildly. Aetna and Humana planned to merge. So did Anthem and Cigna. But both deals died because of antitrust concerns. President Trump's win over Hillary Clinton only added to the uncertainty. Aetna and Humana plan to pull out of all the Obamacare exchanges next year. Anthem has scaled back in many states. Cigna is sticking with the exchanges for now, but the company said in August that it expects a "small loss" from selling individual health care plans covered as part of the ACA. UnitedHealth is mostly out of the ACA. It reports earnings on October 17 and could say more about what's next for its plans after Trump's executive order slashed subsidy payments to insurers. The ACA has been a mixed bag for three smaller insurers. Michael Neidorf, the CEO of Centene, has routinely talked about how he doubts that Washington will completely gut Obamacare without coming up with a replacement for Americans who rely on it for coverage. Neidorf told analysts during an earnings call in July that all of the chatter about the death of the ACA was just "headline noise." WellCare has thrived by largely shunning Obamacare in favor of Medicare and Medicaid plans. The company bought a smaller competitor, Universal American, to focus even more on the growing Medicare Advantage market. WellCare's success mirrors what is taking place throughout the industry. The uncertainty surrounding what's next for the ACA is a problem. A third small insurer, Molina, has struggled lately. It recently posted a loss, announced layoffs and just named a new CEO as its bets on the state exchanges did not pan out. Related: What's in Trump's health care executive order? Most health insurers have thrived in spite of the uncertainty because of growth in other areas of the health insurance market, such as employer-based plans and Medicare and Medicaid coverage. Just look at UnitedHealth for example. In 2009, the last full year before the ACA took effect, UnitedHealth reported annual sales of $87.2 billion and a net profit of $3.8 billion. Last year, UnitedHealth's revenues hit $184.9 billion and it earned $7 billion. It's a similar story for other players in the industry. Aetna's revenues have nearly doubled since 2009 -- from $34.9 billion to $63.2 billion last year. Profits have grown from $1.3 billion to $2.3 billion. Humana's sales have increased from $31 billion to more than $54.3 billion. And sales at Centene, which bought rival Health Net in 2016, have gone from $4.1 billion in 2009 to more than $40 billion last year.